Taiwan was nominated to become part of the list of countries eligible for the U.S. visa waiver program. Taiwan has been listed as a candidate on the United States Visa Waiver Program (VWP), according to the American Institute in Taiwan (AIT). 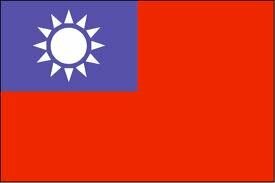 The nomination means that Taiwan is expected to be officially granted the U.S. visa-free privilege in the near future, which may be realized in the second half of 2012 at the earliest. If the privilege is effective, each Taiwanese citizen intending to take a trip to the U.S. may save time and trip on applying for the visa, not to mention the visa fee of NT$4,340 (US$144.67) charged to each applicant. Eric Madison, acting director of the AIT, indicated that the decision is accredited to Taiwan’s great economic, social and political progress and a significant sign of close cooperation between the authorities in Taiwan and the U.S.
Madison added that the visa refusal rate for Taiwan applicants has dropped to only 1.9% over the last 12 months, and the percentage of Taiwanese overstays in the U.S. is even lower. Moreover, Taiwan has adopted since 2010 important measures to strengthen its security and immigration systems in accordance with U.S. statutory requirements for membership of the VWP. So, all of these have made the U.S. nominate Taiwan as a VWP candidate. It is estimated that Taiwan has about 400,000-500,000 persons taking trips to the U.S. each year, mainly for study and visiting relatives there. If Taiwan is included in the VWP, the number of Taiwan’s U.S.-bound visitors might jump by over 20%, a travel agent estimated.